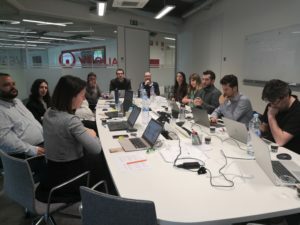 The 36 months meeting of INDIGO project was hosted by Giroa-Veolia at its headquarters in Zamudio, Spain, the days 25, 26 and 27 of May, 2019. Lots of activities took place during this long and constructive reunion. During the first day the partners had the General Assembly meeting, in which the results of each work package were presented along with the workplan for the next months. Many technical discussions took place, necessary to move the project in the right direction. The second day was dedicated to a workshop in “Business Plan Development” (one of the SSERR services offered by the EC), in which the Consortium worked alongside Alessia Melassecche, an expert from Meta Group, who guided the partners in key concepts towards creating an effective business plan for the results of the project. It was a very enriching experience. 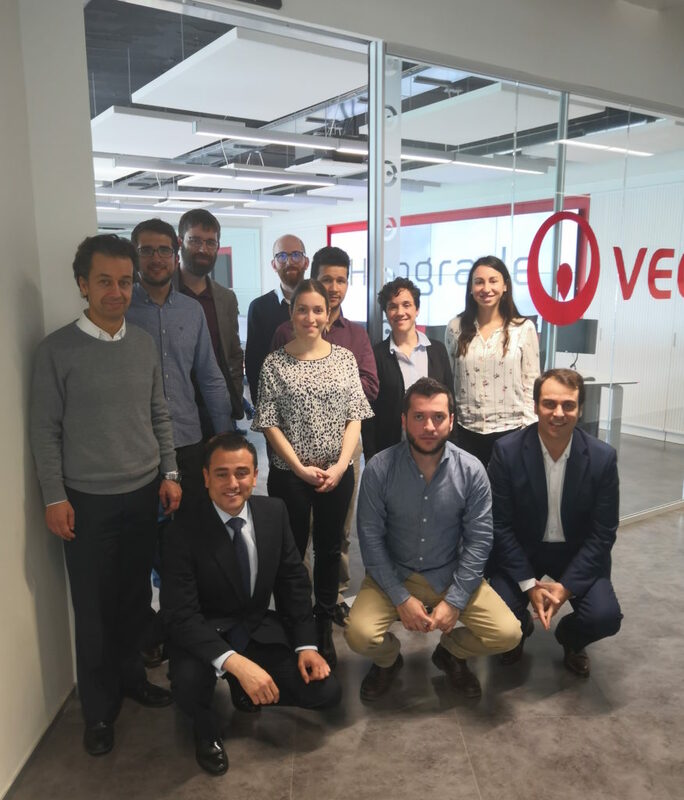 The last day the Consortium met the External Advisory Board (EAB), with the presence of the advisors: Arnaud Martinez (Veolia), Patrick Beguery (Schneider Electric) and Rafael Pérez Cortines (Daikin). As always, the EAB members gave the partners insightful remarks and useful advices towards achieving a real impact with the foreground created in the project. To finish off the day, Giroa-Veolia took the Consortium and the EAB to a guided visit of its “Hubgrade” the energy management centre. More information about the Hubgrade here.